Motivated Seller! Bring us an offer! Country living in the City with mountain views! This property is in the City of Wheat Ridge, Zoned A-1, .73 acres, and horses/animals are allowed. Cute ranch style home with custom hardwood floors, open floor plan, large bedrooms and closets, 896 square foot barn with 4 stalls, one car garage, and a large attached/heated work shop. Flat lot with large trees, garden area, shed, and a ditch running through the property. Newer roof (2017) / Windows and electrical updated (2010). 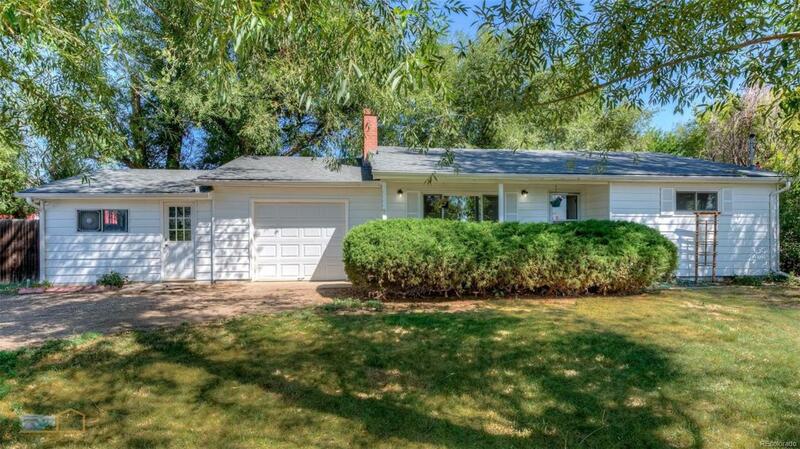 Close to light rail station and Olde Town Arvada! 10 minutes from Coors Field and Golden and 5 minutes to I-70. Development potential as well.